WELCOME TO THE MINDFULNESS BASED COGNITIVE THERAPY (MBCT) GROUP! We are so glad that you have chosen to participate in the MBCT group, co-led by Dr.Todd Griswold and Lauri Klein, LICSW. The first group meeting, an orientation session is scheduled Tuesday January 29th This session will be an “orientation” from 5:15 - 7:30 PM in room 4B.11 on the 4th floor of 26 Central Street. Please go to registration desk on the 3rd floor to check in for your appointment and then proceed to 4th floor. If you take the stairs, turn left (if you take the elevator, it will be right) and 4B.11 will be the first room on your right. If you are late please enter the room, take a seat and join us wherever we are in the session. If you know you will not be able to make any of the sessions, kindly let us know in advance the week before. If it is the same day kindly call and leave a message for Lauri at (617) 575- 5649. The rest of the sessions from 5th February will meet from 5:15 - 7:30. Because the group is for over 2 hours, it is scheduled as 2 visits, and you may be asked for 2 co-pays (depending on your insurance) at the front desk.  There will be an “all day” 7 hour session on Saturday March 9th which may include other participants from other Mindfulness groups at CHA. When you come to class each week there will be chairs as well as mats and cushions for you to sit on. You are invited to make yourself comfortable. You are not expected to sit on the floor if it is not your best position! Please wear comfortable clothing as we will be lying down on yoga mats and at times will be sitting on cushions. Each week we will begin class with one of several practices. The home practice will involve a 30-40 minute commitment (discussed during the initial interview for the program). You will be given a link to recordings of the exercises so that you can practice at home in between classes (If you need CD recordings instead please let us know and we will provide those).The more you put into this class the more you will get out of it. We also hope that you will participate in the inquiries/discussions of your experiences. Even though this is a therapeutic group, it is not group therapy so we will invite you to share your current and present moment experiences, rather than details about the past. For those of you who are the usual talkers in a group (you know who you are) we will invite you to hold back just a little. If you are the opposite, someone who rarely shares, we invite you to challenge yourself and to be an active participant. Bring your binder and a pen to every session. Following each session, you will also be given assignments for home practice. Each Session has a number of handouts which include summaries of what we do in class and other helpful information. At the end of each section there is a Home Practice Record sheet to keep track of how you are doing. We would like you to keep those current and hand them in to us at the beginning of each class session. If you miss a class it is your responsibility to make the effort to look over the handouts and try to do the home practices as best as you can.